Like most trustworthy people, I love cheese. When I was young, it was the fried mozzarella cheese bombs at Seamus McDaniel's. After a trip to France, the obsession became European imports. Then it was California cheeses. Larder & Cupboard has helped me the see the light: Missouri and Illinois have some badass cheeses. My current recommendations: Marcoot Creamery's scamorza, Baetje's Morbier-inspired Amoureux, and the amazing Flory's Truckle from Milton Creamery. 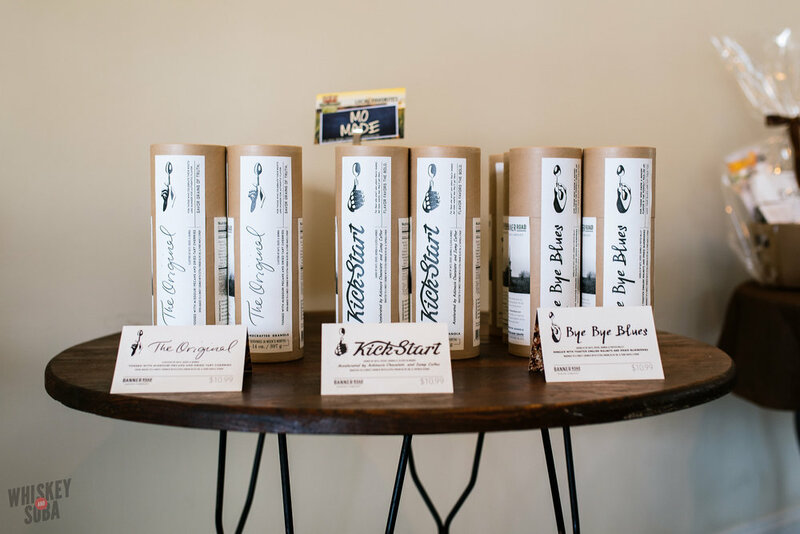 The local coffee scene has shot off like a rocket in recent years, with places like Sump and Blueprint gaining notoriety on a national scale. We have our share of great local roasters who don't have stores, as well. Kuva has been around since the early 2000's, while Stringbean arrived in 2011. 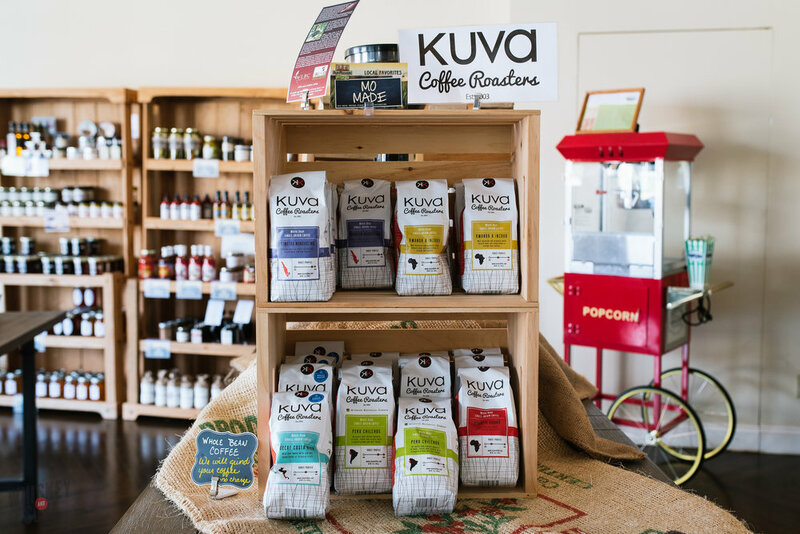 I may not know much about coffee, but I know I like Kuva's Peru Chilchos and Stringbean's smooth Sumatra. 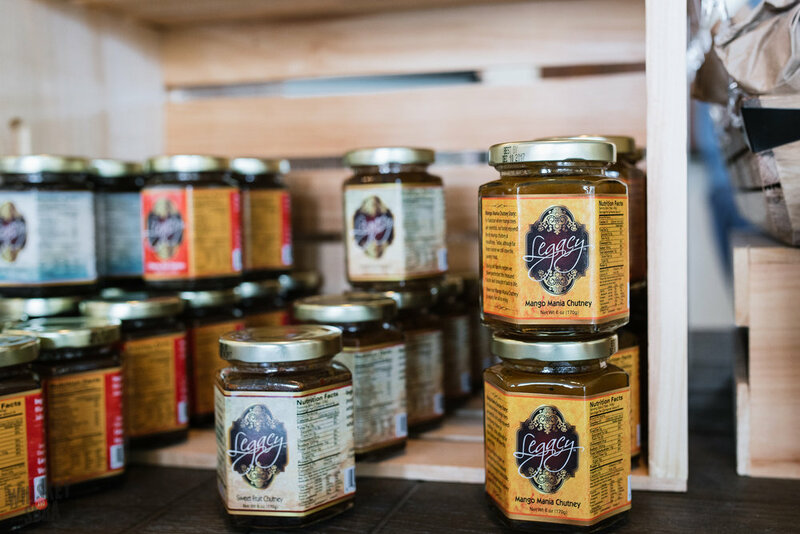 If you live in South City, this honey could have been made because of your garden! Wow! Good for you. 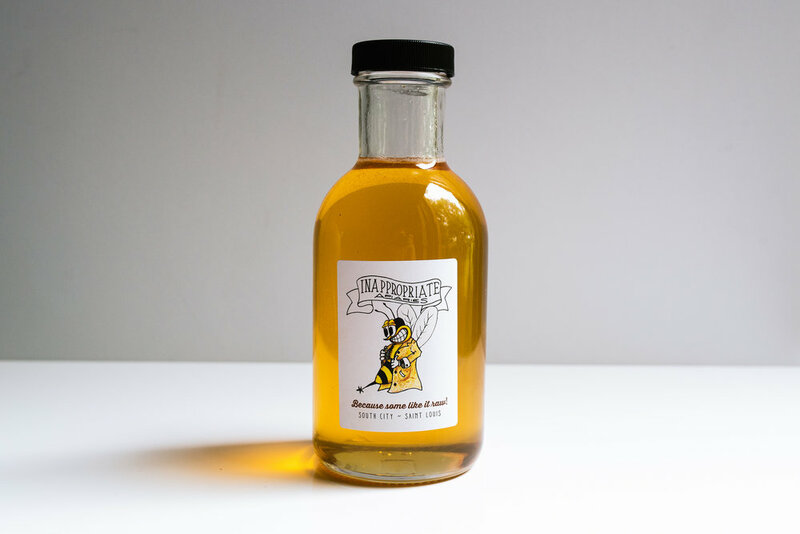 Tommy 'Salami' Andrews (of Truffles Butchery) has been producing this honey for years, but this is the first time he's sold it. It is good honey, too. It's been flying off the shelves for a reason (and it's not just the great logo). Trying to be healthy makes salads so boring. You don't get to use any of that creamy stuff, so you're stuck with balsamic vinegar and olive oil. Or are you? Open up your wallet, cheapskate, and buy some walnut oil. It's got a delicate, nutty flavor that gives an extra umph to any salad or veggie dish. Drizzling it over a fall-flavored pasta instead of olive oil is sure to impress the ladies, too. When Anne Croy isn't making her perfect gelato's, donuts, and desserts for Pastaria, she can often be found pumping out tube after tube of granola for her Banner Road Baking Company. You'll be hard-pressed to pick a favorite: is it the pecan heavy Original? The blueberry filled Bye Bye Blues? Or the Sump coffee and Askinosie chocolate KickStart? The correct answer is the KickStart, but I love all three. She recommends eating them with a spoon, I recommend pouring them directly into your mouth. 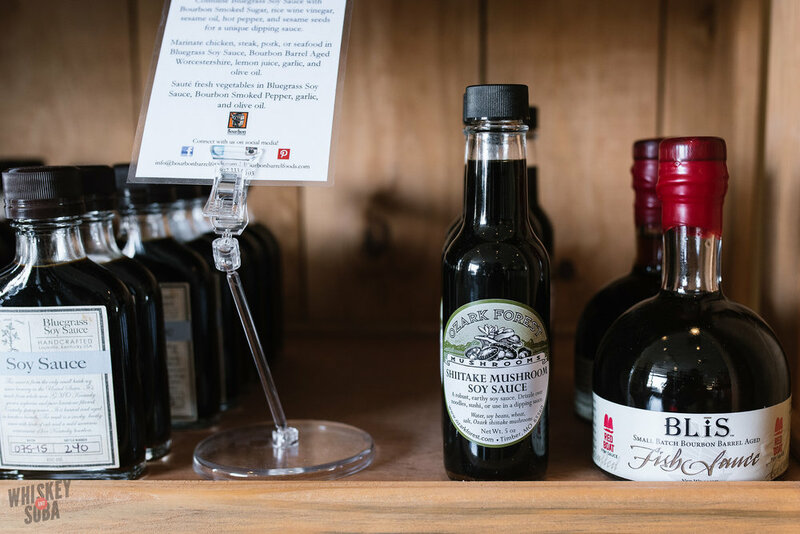 Bluegrass Soy Sauce, seen on the left side of the photo, has been growing in popularity for years thanks to the likes of Sean Brock and Ed Lee. I prefer Ozark Forest's shiitake mushroom soy sauce, though. It's less acidic and has a nice, subtle mushroom note. That woodsy flavor is the perfect addition to your next stir fry. Ahh, my first love at L&C. The recipes all come from the owner's Pakistani family, and they are beyond addictive. There are four flavors: Cherry Kiss, Date Night, Mango Mania, and Sweet Fruit. Sweet Fruit & Mango Mania are thinner, and in my opinion, more versatile. I've used both as condiments and for marinades with chicken and fish. Cherry Kiss and Date Night are a little thicker, lending themselves more to desserts and cheeses. These are my favorite items in the whole store. I've had them stocked in my fridge since Larder & Cupboard opened. You know that I loveSalume Beddu. What Marco and his team are creating is nothing short of amazing. 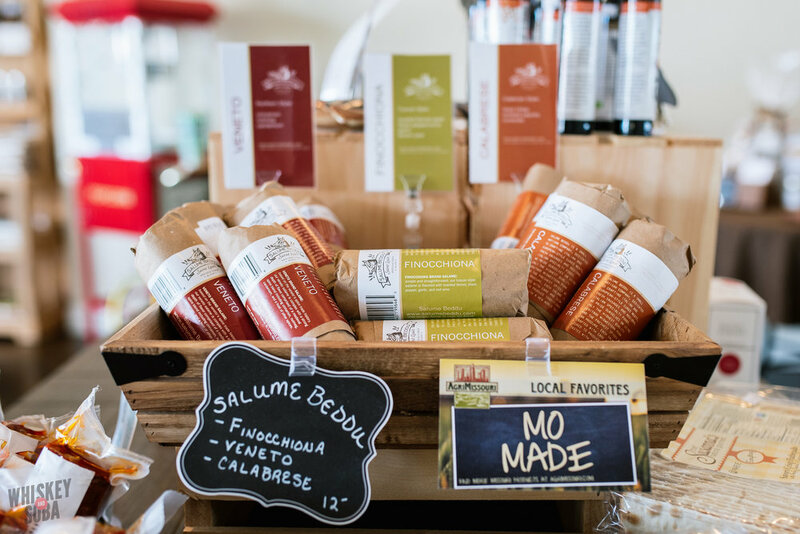 Most groceries in St. Louis sell the Veneto, Calabrese, and Finocchiona now, but they don't have the fiery nduja, a spreadable salami fit for kings, nor do they carry a range of Beddu's sausages. If you're ever making a "Best of St. Louis" gift basket, these need to be at the top of the list. The same sentiment as above goes for Mac's. 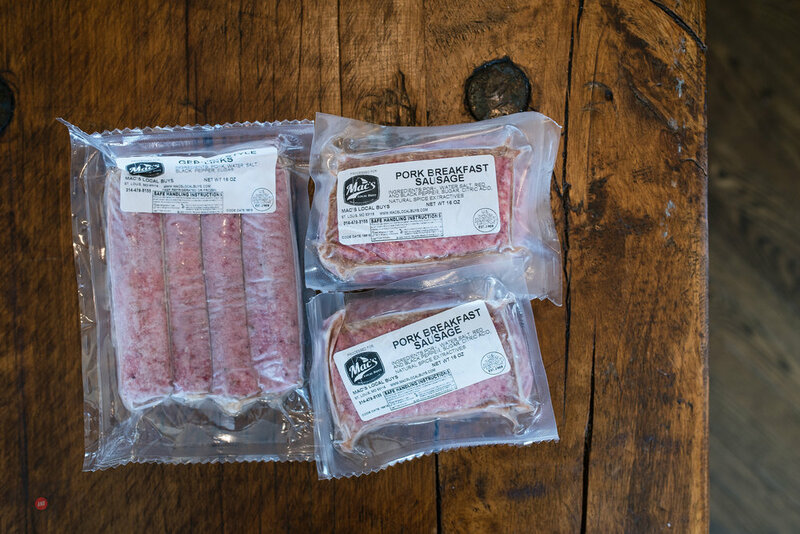 Chris McKenzie works with a number of local farms to procure great locally sourced meat, which he then turns into great sausages (amongst other things). Keeping a pack or two...or ten...in your freezer is a smart move. 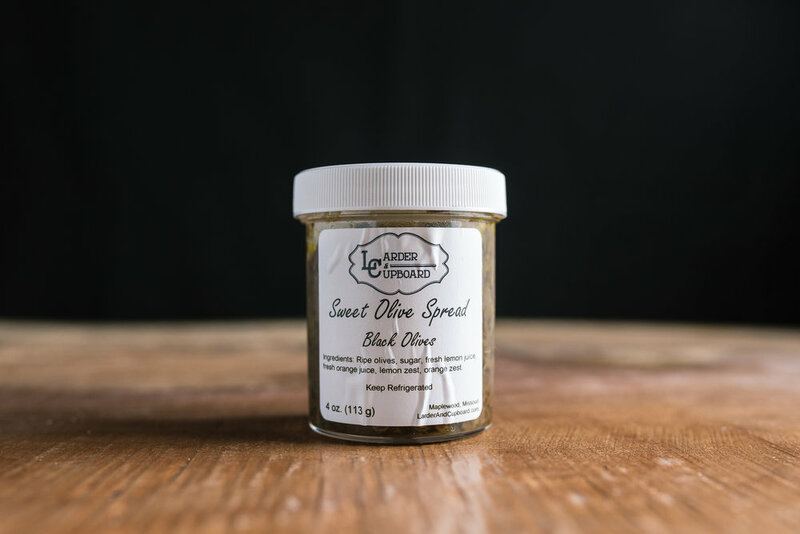 So far, Larder and Cupboard has made just one product themselves: a sweet olive spread. They aren't tooting their horn about it too much, and it's almost hidden away in the cheese case, but it is one of the more unique things I've eaten—in a good way. Apparently it's used in Italian bakeries, but I prefer spreading some onto crackers and cheese. I couldn't keep myself at just 10 items, plus these aren't edible. 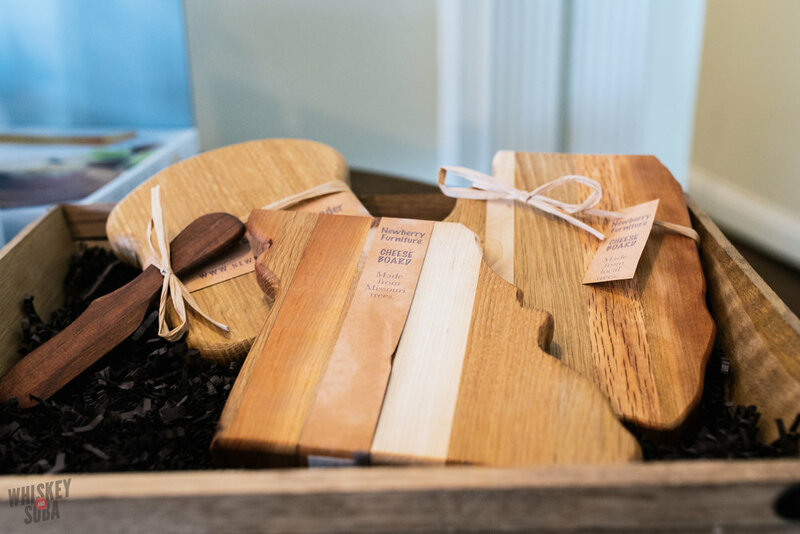 Newberry Furniture makes these fun Missouri and Illinois shaped cheeseboards out of local wood. They make great gifts—in fact, they're so great that L&C is often sold out of them. Make sure to call ahead if you're looking for these.